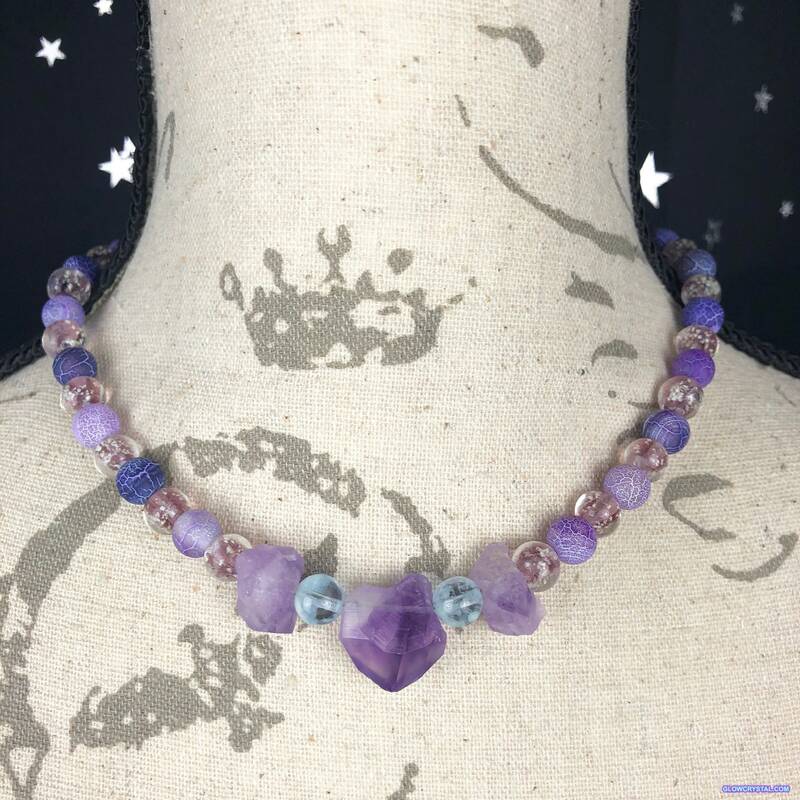 Amethyst raw stone gemstone choker with glow in the dark features. 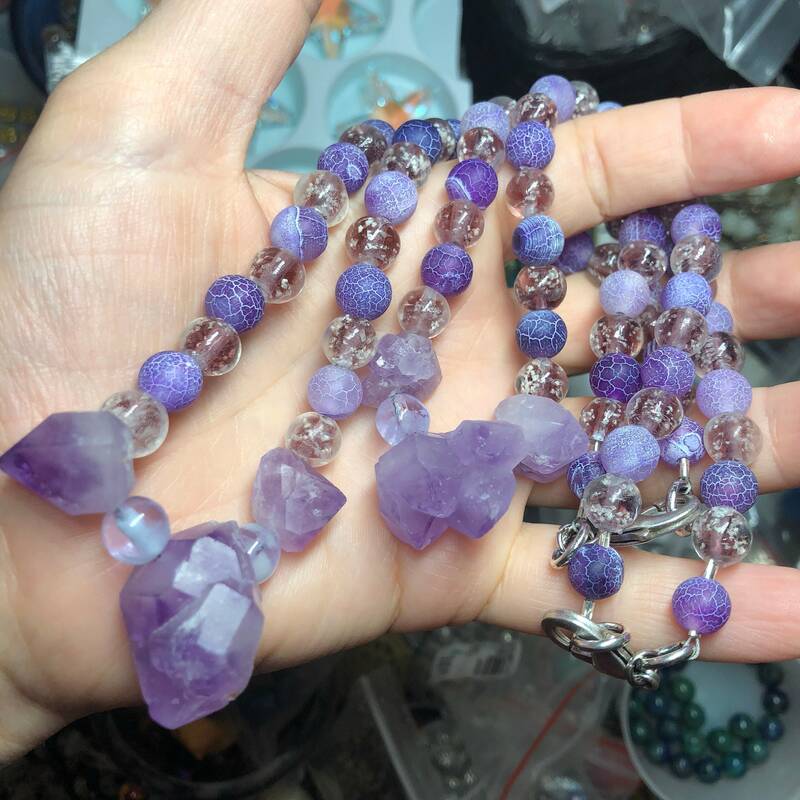 I hand pick the raw amethyst gemstone crystals and each necklace is one of a kind. 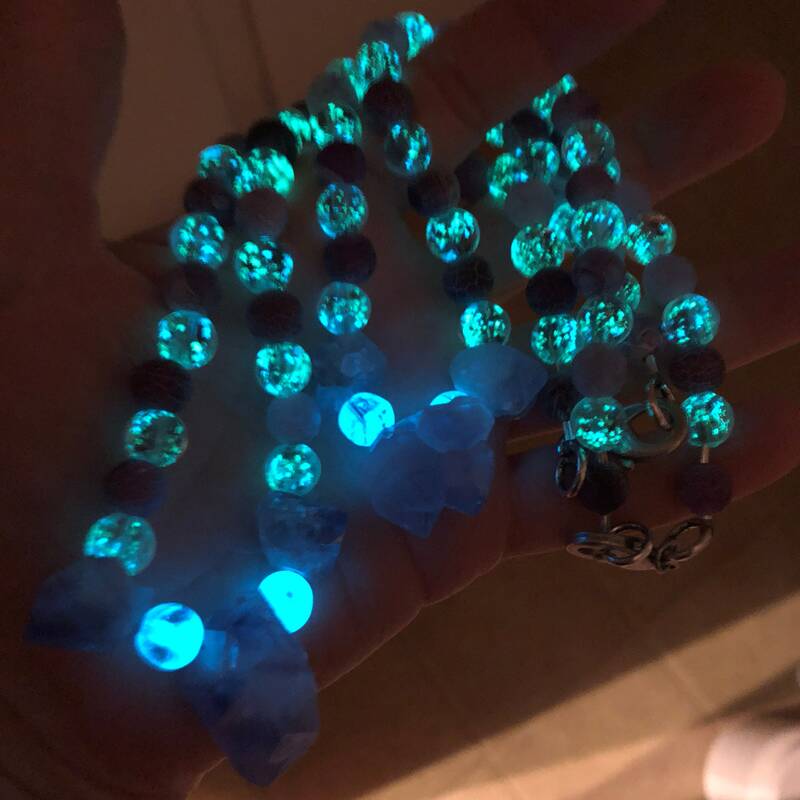 It is absolutely beautiful and more enchanting in person! 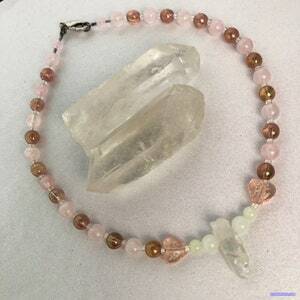 Item may vary slightly from the necklace in the photo (the stones in the middle). 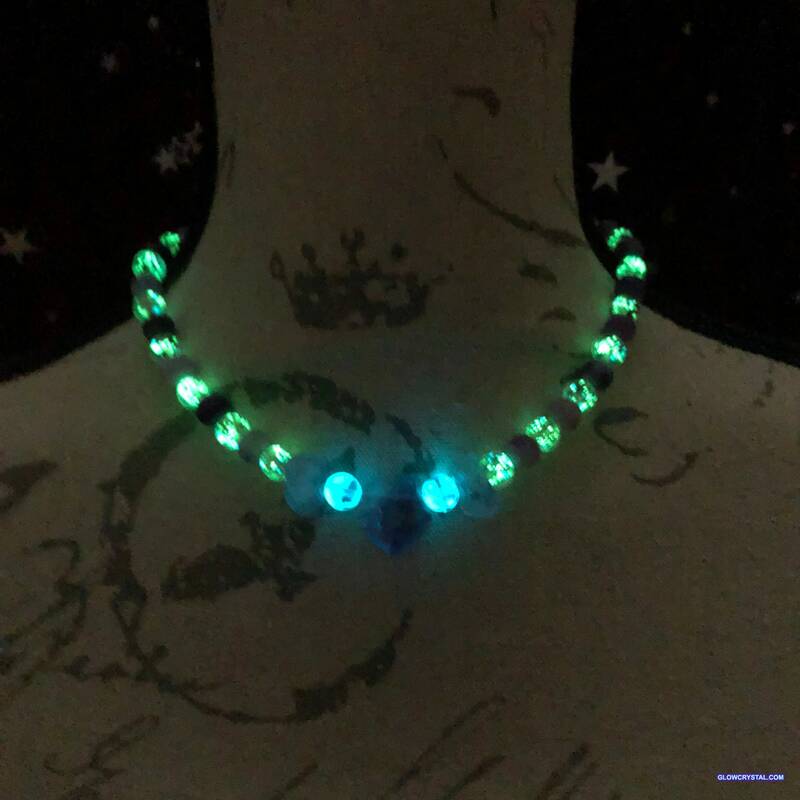 I have a massive collection of gemstones and beads and I am now making one of a kind beaded gemstone chokers that glow in the dark. 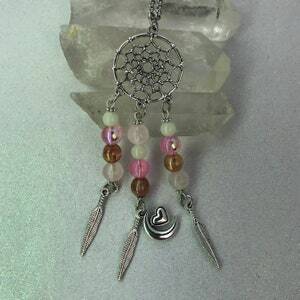 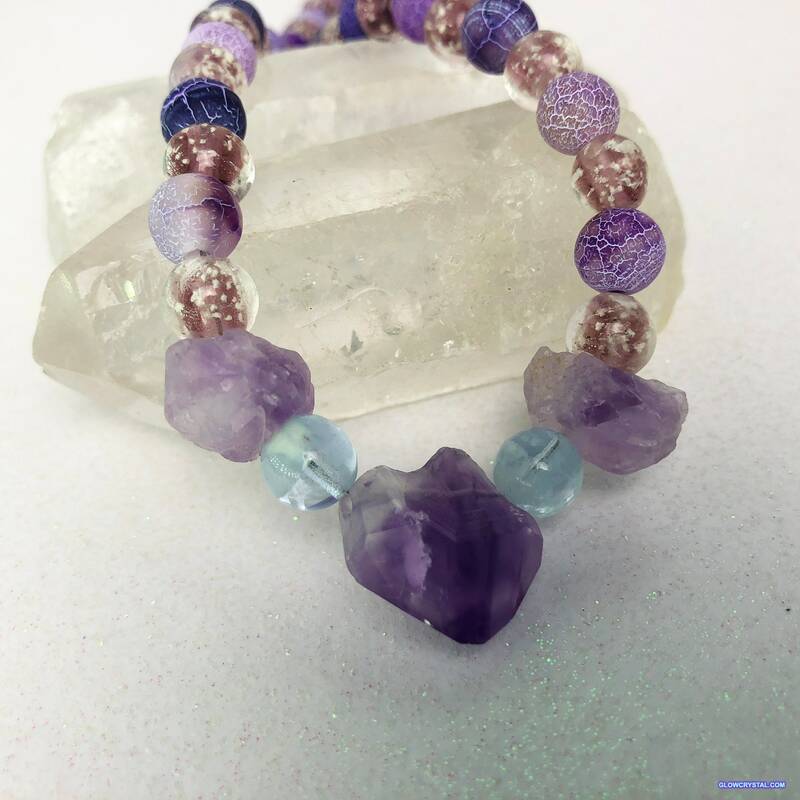 So much fun to wear with all of the magical qualities of quartz crystal and other raw, natural stones from mother earth. 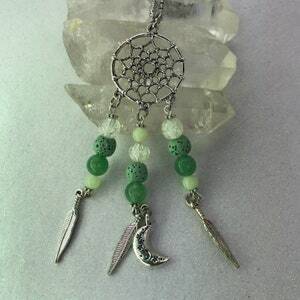 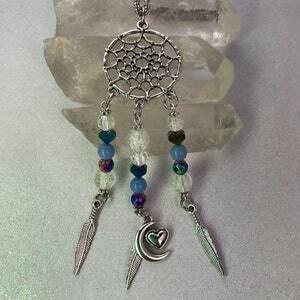 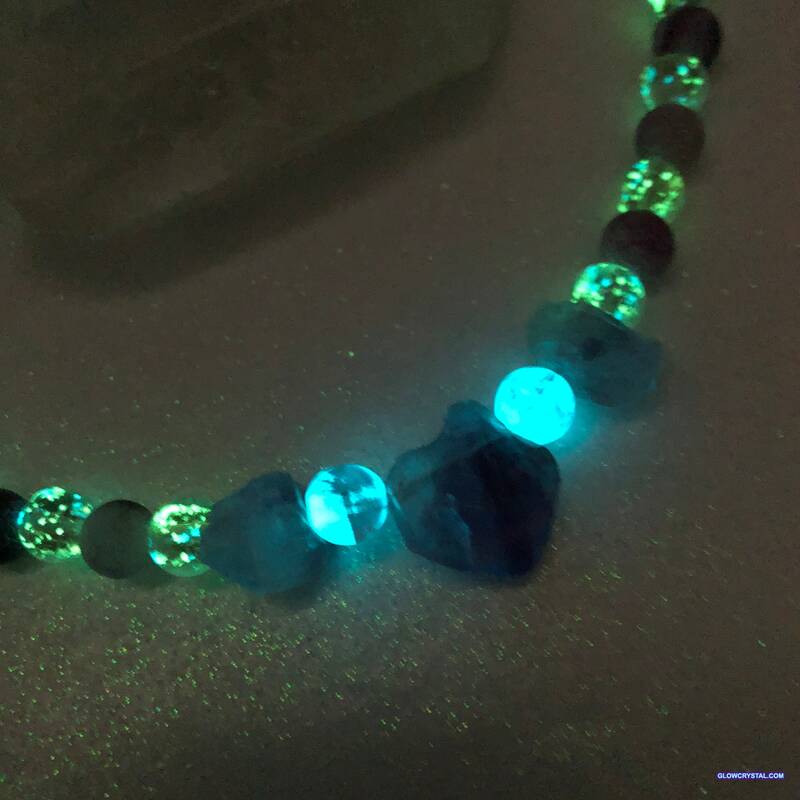 Please follow me on facebook.com/glowlockets to see more! 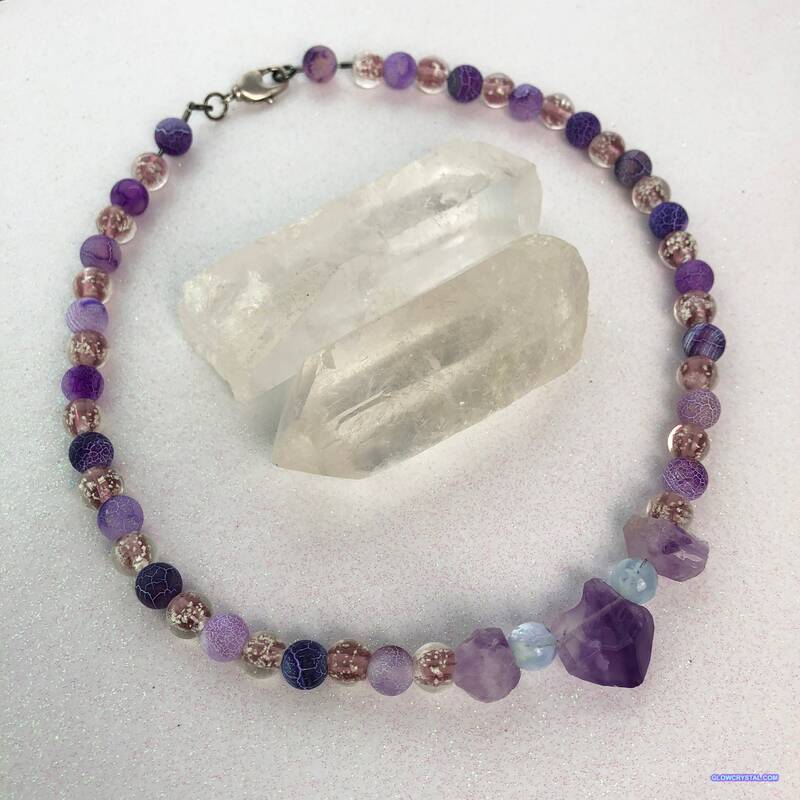 Amethyst is my February birth stone, along with many others, and I will be making lots of pretty purples with genuine amethyst stones this month! 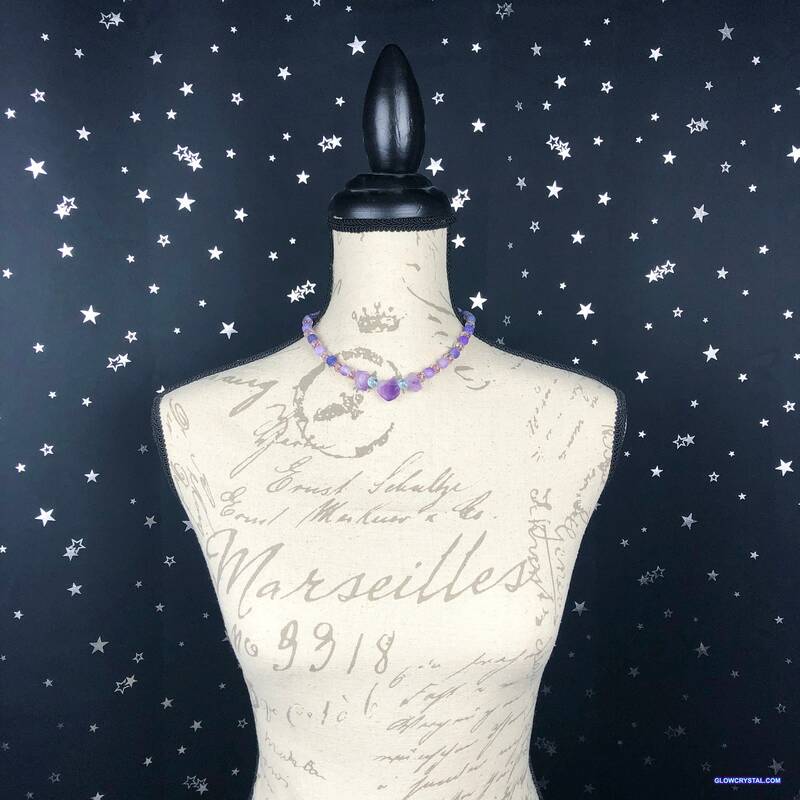 To create this necklace I used a top quality 49 strand flexible steel wire, stone and glass beads, and secured with a high quality American made antique silver plated lobster clasp. 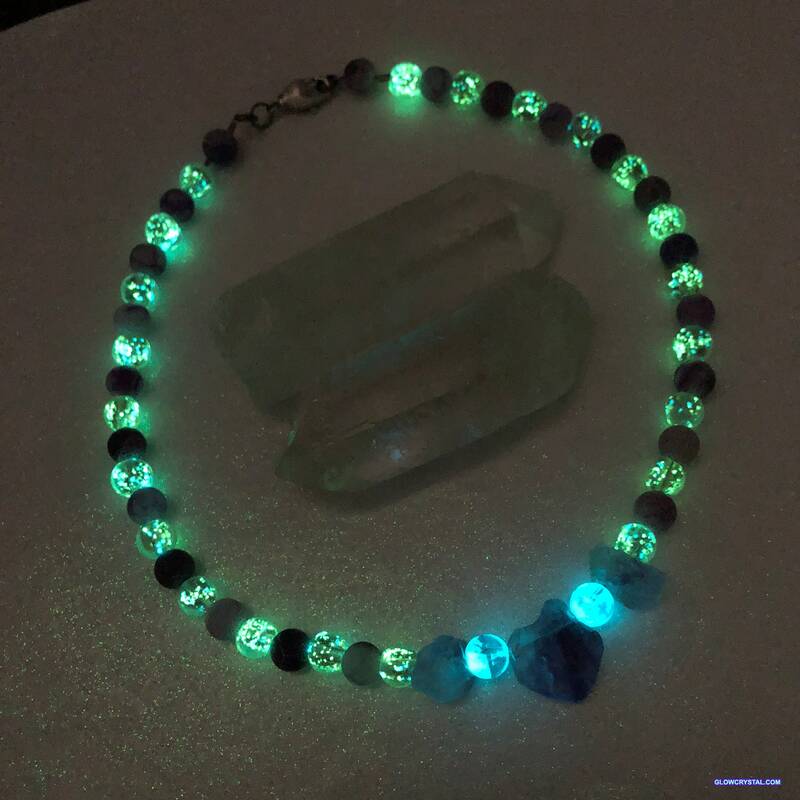 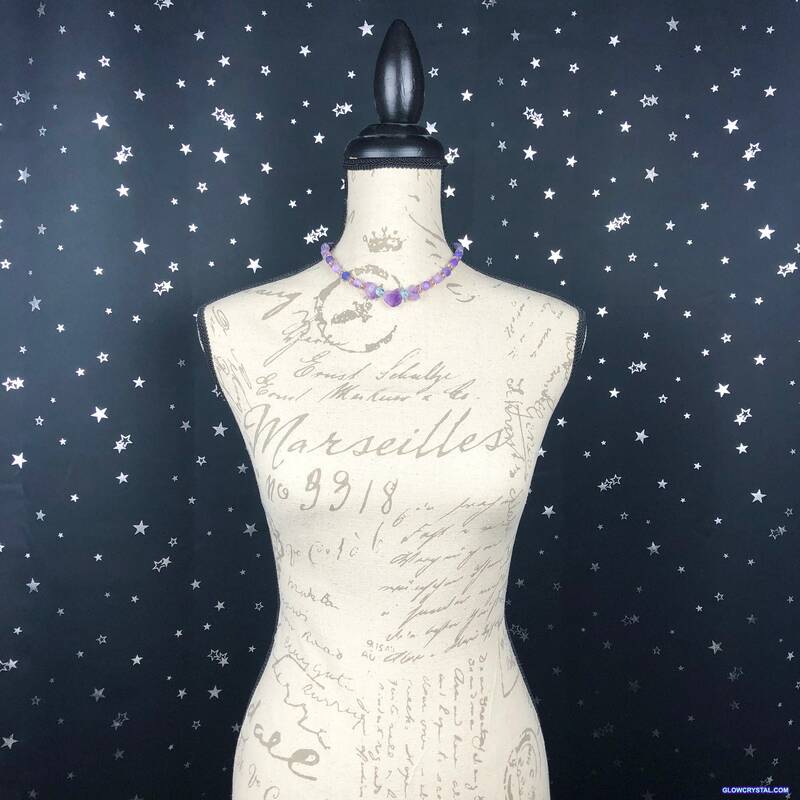 I used frosted purple veined agate beads next to purple tinted glass glow in the dark beads (which glow aqua-green), two alexandrite color shifting glow beads that are a beautiful aqua blue when they glow, and three natural raw amethyst crystal stones in the center.